☝🏻 That’s me right now as I am soooo frickin’ excited to finally be able to share my review of Paul Hardisty’s Absolution! A massive thanks to Anne Cater and Orenda for the ARC and inviting me on the tour – if I missed this tour, I may have just cried! First I’ll share a bit about this fabulous author and the book, before I let loose with the Eeeek’s and OMFG’s in my review! OMG…OMG….O-M-G – THIS book! The story is mainly set in 1997 S. Africa, though we do visit Paris and Egypt as well. Within the pages of this novel I came across loss, fear, helplessness, pain, a haunting past, an overwhelming sadness, survival, a fight for truth/justice, revelations, realisations, love & relationships, death, guilt, terrorism, a longing for peace and a desire for forgiveness. This novel may have fictional characters, but the “story” it tells is real. Written in a way that the reader is immediately pulled into the time and place, all the emotions felt just overwhelm you. 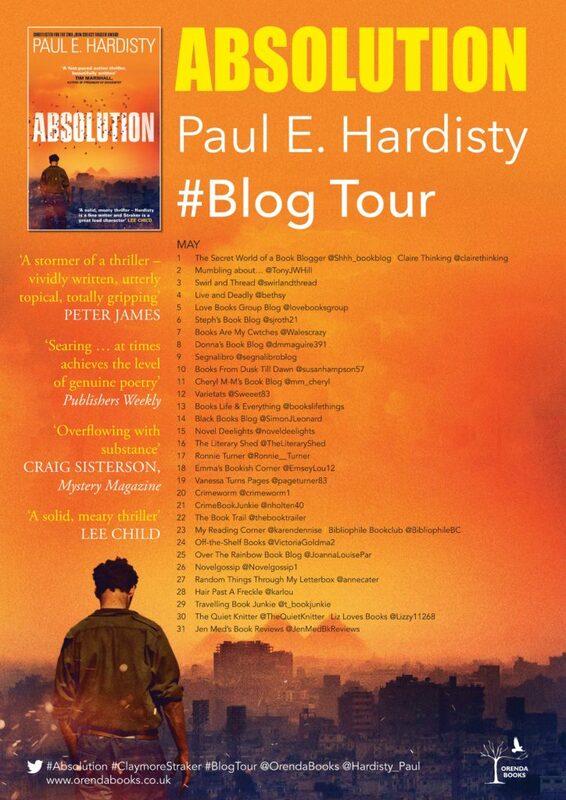 I absolutely adore Paul Hardisty’s writing style – unforgiving, real and raw but almost lyrical as the words are just beautifully strung together to get into the very heart of the reader. The narrative is phenomenal and I can hear the character’s voices as they speak. I find this series is equally plot and character driven and as shocked as I am about the events, I almost cheer Claymore and his companions in the hopes they can right the wrongs …even though I know they can’t. What was done was done. Damn! 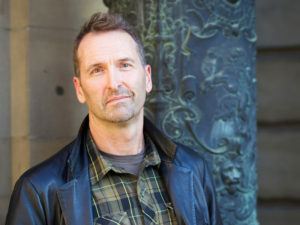 Paul Hardisty, I hope you know what an absolutely phenomenal writer you are! 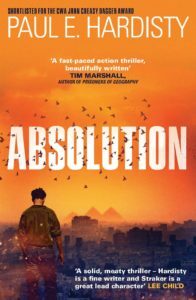 I have to say that I was over the bloody moon to see Claymore Straker, Crowbar and Rania back together in Absolution, even though there was an overwhelming sadness within this novel – these characters just work so well together. Love, hate, friendship, betrayal -WOW – I was on the edge of my seat throughout! Straker is no stranger to trouble, it just finds him and unfortunately spreads like a contagious disease to anyone he knows or comes into contact with. Straker seems indestructible, but emotionally he is broken and my heart just goes out to him despite the things he does. I adore Rania – passionate, strong but also quite vulnerable. This novel really brings out her character and feelings to the point of bursting! She needs to keep her wits about her, be strong when she feels so weak and turn a blind eye to things she may not always agree with. Can she do it? Absolution is defined as formal release from guilt, obligation, or punishment. Did this happen? Is this the final time we’ll see Straker? Is there more story to be told … you’ll have to read this stunning piece of crime fiction to find out! Would I recommend this book? Holy mother of the book-gods, ab-so-friggin-lutely I would! An addictive and intense story, with an hypnotic writing style that reels the reader in, this book is pure genius! Easily read as a stand-alone, I would however, urge everyone to read the whole series as it is simply stunning! 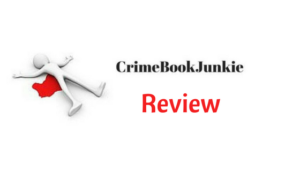 This entry was posted in Blog Tours, Book Reviews and tagged #Action, #ActionPacked, #Crime #Twists #Murder, #CrimeFiction, #CrimeThriller, #Emotive, #Series, #Suspense, #Thriller, #TopRead2018, Orenda by crimebookjunkie. Bookmark the permalink.